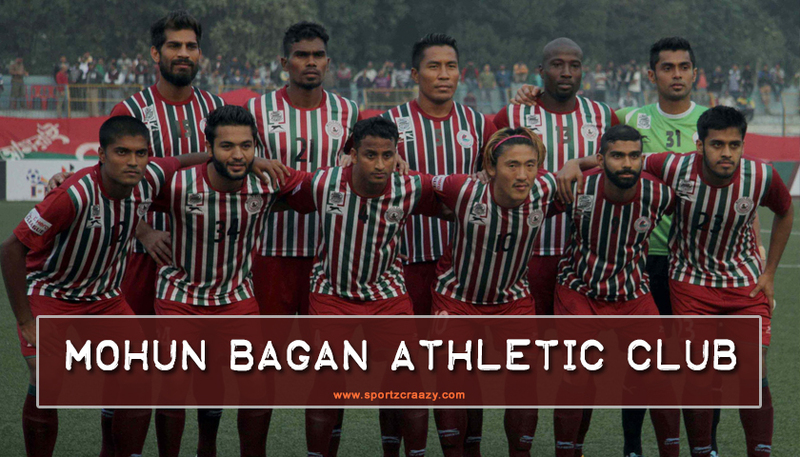 Hailing from Kolkata, Mohun Bagan A.C. is the oldest football club of India alongside one of the oldest in Asia. Founded in 1889, by a lawyer named Bhupendra Nath Bose the club has a rich and illustrious history of being the most decorated club of India. 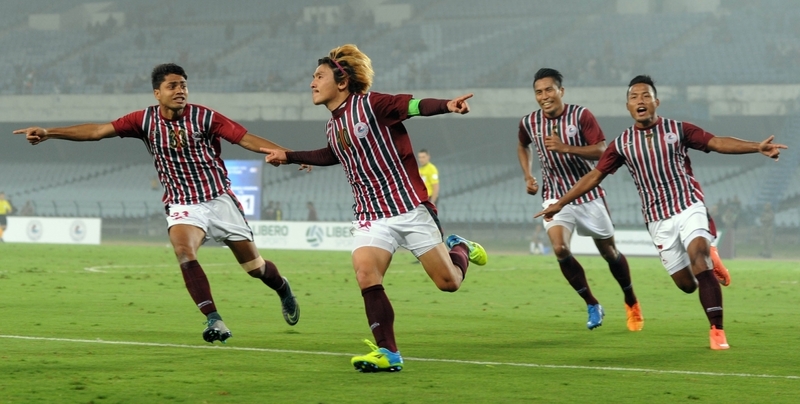 Mohun Bagan currently plies their trade in the I-league, which is the top tier in Indian football. The Kolkata based outfit is also currently in talks to swap leagues and join the money rich Indian Super League but because of the ISL’s rules Mohun Bagan cannot represent Kolkata due to ATK franchise. Therefore, there are some complications right now, but the move is expected to go through nevertheless, after some time. The most famous win for Mohun Bagan came in the 1911 IFA Shield final, wherein they defeated East Yorkshire Regiment and thus etched their names in the history books as they became the first ever Indian club to do so. The club has also played friendlies with various big clubs most recently Mohun Bagan Legends contested in a friendly exhibition match with FC Barcelona Legends. The club is popularly nicknamed as ‘the Mariners’. It was started by three famous aristocratic families of Kolkata. Having played a crucial role in the establishment of the whole set up, Bhupendra Nath Bose was the first ever president of the club. Bagan won their first ever trophy in 1904, when they got their hands on the Coochbehar Cup. They created history by winning the IFA Shield against East Yorkshire Regiment particularly because the Bagan players played bare feet, while the Regiment side played in a proper kit. The club tasted incredible success from 1933 to 1939 winning a total of 29 trophies, so that could be termed as the golden phase of Mohun Bagan’s history. Their rivalry with East Bengal, which is popularly known as the Kolkata Derby is one of the most anticipated clashes in Indian football. During their golden era, the Mariners defeated East Bengal 12 times out of the 23 meeting, wherein 10 games ended as a stalemate and Bagan lost just once. In 1977 they became the first Indian club to the treble of IFA Shield, Durand Cup and Rovers Cup. Also, the same year they hosted a friendly match for New York Cosmos in which legendary Brazilian player Pele also took part. The game ended as a 2-2 draw and the official attendance for the fixture was a mammoth 80,000 spectators. 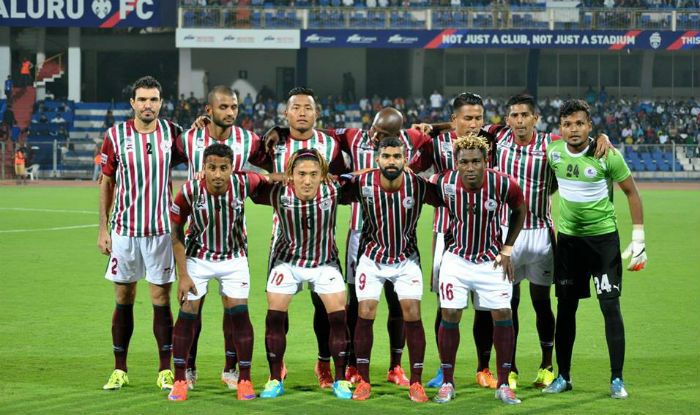 Mohun Bagan A.C. has won India’s top flight title 4 times, the National Football League on 3 occasions and the I-league just once back in 2015. 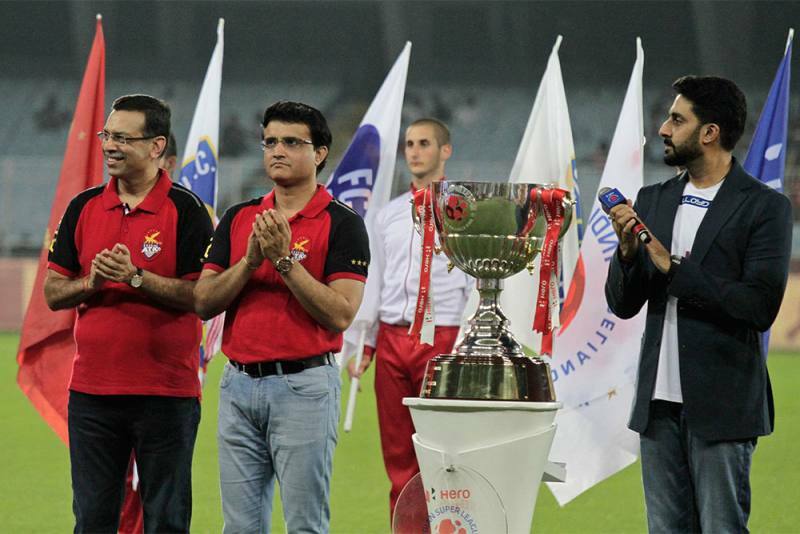 They hold the distinction of being the most successful team in the Federation Cup which they have won on 14 occasions. Add to that the tally of 16 Durand Cup titles, 22 IFA Shields and 30 Calcutta League titles, and the Mariners become the most successful club in the history of Indian football with a trophy haul of around 290 accolades. 100 years after the foundation of the club in 1989, the then Prime Minister of India Rajiv Gandhi awarded the club with the title of “National club of India”. Every year on July 29, the Mohun Bagan Day has been celebrated since 2001, in memory of the club’s historic win over East Yorkshire Regiment. Also, on the same day every year, the Mohun Bagan Ratna is awarded to one of the former most notable players. The first recipient of Mohun Bagan Ratna was Sailen Manna. In 2018, Pradip Chowdhury collected this award. The colours of Mohun Bagan A.C. have traditionally been green and maroon. In recent years they have usually opted for a white coloured away kit. Also, at the time of club’s inception the crest featured a royal Bengal tiger amidst a dense forest. However, the current crest consists of a sailing boat inside a circular shaped mono painted in green and maroon. Mohun Bagan’s home stadium is the Salt Lake Stadium popularly known as the Vivekanand Yuva Bharati Krirangan, which is a multipurpose facility located in Bidhannagar, Kolkata. 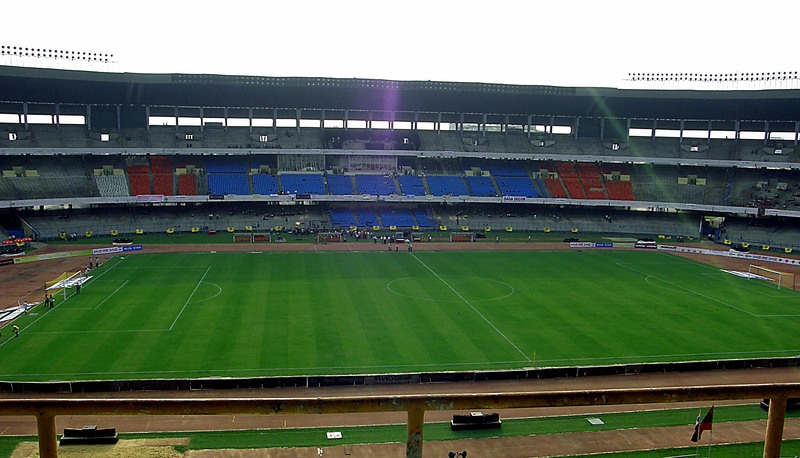 It has a capacity of 68, 000 and it is the largest stadium in India by capacity. The Salt Lake Stadium is an AFC accredited facility meaning it is eligible to host AFC matches for the green and maroon army. Other than the Salt Lake, the club plays on the Mohun Bagan Ground which is their home venue for the smaller league side of the Calcutta Football league matches. They have also previously played at the Barasat Stadium which has an artificial turf. This was used when the Salt Lake was being renovated for the hosting of FIFA Under-17 World Cup. Around 85,000 bucket seats were to be installed for accommodating additional fans for the extravaganza. The club acknowledges a cult following not just around India but all over the globe. Being one of the oldest Asian clubs, they have a huge number of fans. Some well renowned fans of the club include, Dr. Rajendra Prasad, Sourav Ganguly, Mithun Chakraborty, Amitabh Bachchan, R.D. Burman etc. Mohun Bagan being one of India’s biggest clubs attracted various world class players over the course of club’s history. Some notable players who represented Mohun Bagan include Sony Norde who is the current captain of the club, Eduardo Ferreira, Bimal Magar, Henry Kisekka, Akram Moghrabi and many more. 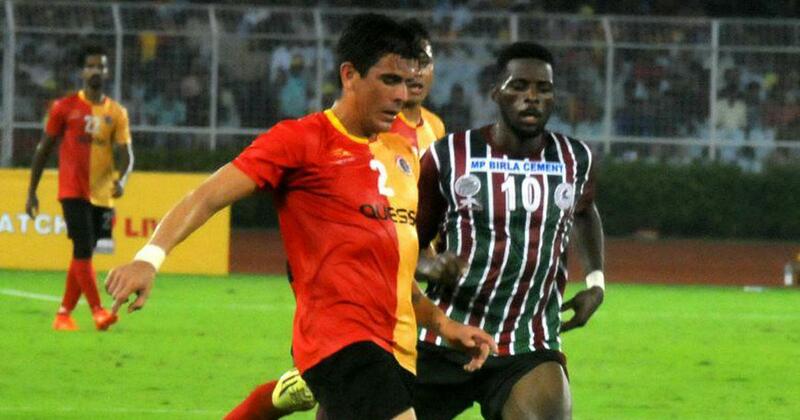 The current Mohun Bagan squad contains a mix of youth and experience, including various big name foreign players. Club captain Sony Norde who hails from Haiti will don the responsibility of supplying goals to foreign forwards Henry Kisekka and Aser Pierrick Dipanda, both of whom have been on song for the club so far this season. 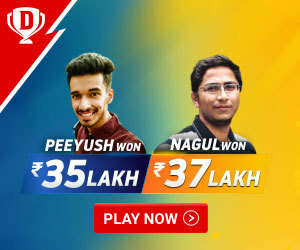 Indian custodian Shilton Paul has been going from strength to strength in goal, while fellow Indian players Azharuddin Mallick and Lalchhawnkima have also impressed in their respective campaigns so far. Led by Indian manager Sankarlal Chakraborty the Mariners currently sit in fifth place with 2 wins 2 draws and one defeat from the 5 games played. Earlier this year, Mohun Bagan won the Calcutta Football league in 2018, their first ever win in the competition since 2009.